Lets sketch Queen Victoria building! Choose from exterior views and how it sits within the city, or the grand interior and dome, or elaborate details, or fancy shopfronts and shoppers. 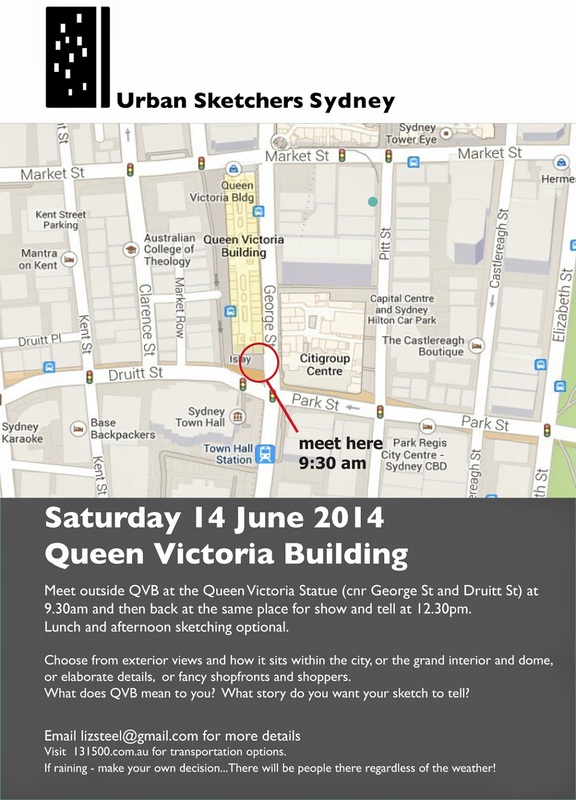 What does QVB mean to you? What story do you want your sketch to tell?